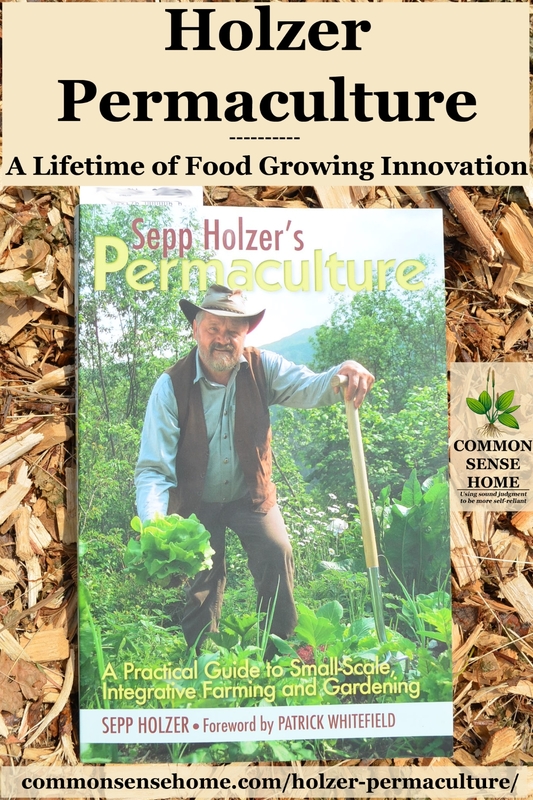 Sepp Holzer Permaculture is a tribute to the innovation and imagination of the the farmer who farmed the land other people said couldn't be farmed. In the mountains of Austria, over 5000 feet above sea level, Sepp Holzer has created his own Eden. It seems impossible that he stunning diversity of plants and animals could sit side by side with spruce tree monocultures, and yet it does. There is no arguing the effectiveness of his methods – the proof is there for all to see in the annual harvests. Looking at the aerial view of Sepp Holzer's farm is like looking at a tapestry. Changing elevations, water features, foliage and functions all flow together to create a living, changing work of art. It is fruit of a lifetime of experimentation, and I hope one day to be able to mirror his efforts in a way that works with our homestead. There is overlap between subjects, as would be expected. All life is connected, and the beauty of permaculture is in building and optimizing those connections. Throughout the text, the author shares his own experiences (and mistakes) working on the land that he loves. There are mentions of difficulties with local authorities over some projects, but those are covered in detail in his other book, The Rebel Farmer (which is now on my wish list). What I enjoy most about Sepp's work is his combination of observation of natural processes and purposeful adjustments over time to help what is there work better. Sun hitting a south facing rock? Plant something that can soak up that heat and use the rock for protection. Natural depression? Turn it into a full fledged pond. Steeply sloping land? Turn it into terraces that zigzag down the mountainside, soaking up and retaining the precipitation that falls in the area. Harsh conditions? Use heritage breeds that were cultivated to grow in those conditions rather than modern high maintenance hybrids. Wild fruit trees invading your orchard? Graft your fruit variety of choice onto the hearty root stock. There are also sections devoted to working with the wild creatures – even those who cause often cause damage – in a way that allows the wild critters to, for the most part, do their thing – without devastating our crops. His story about the mamma dear and her baby encountering their first (and likely last) taste of his apple trees was hilarious. From backyard to farm, there are nuggets of information that are useful on every scale. 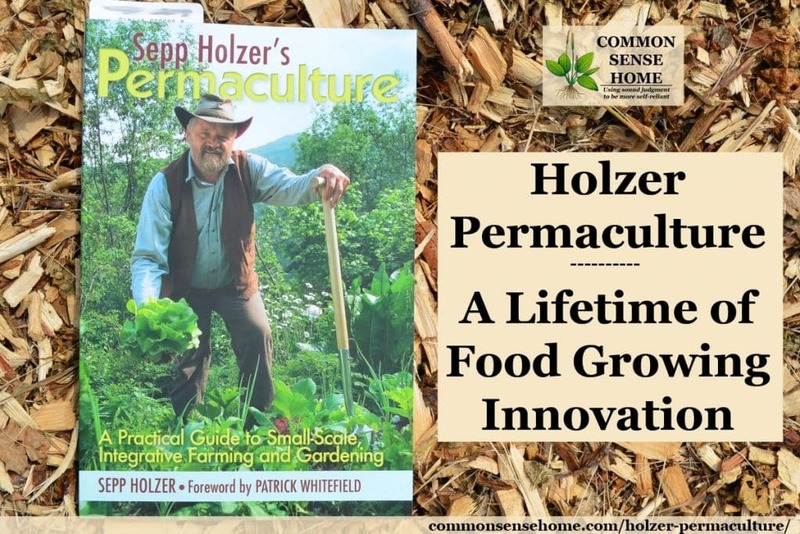 If you are ready to open your mind to the possibilities beyond today's food growing status quo, check out Sepp Holzer's Permaculture: A Practical guide to Small-Scale Integrative Farming and Gardening.